Engraving. 1841. 3&4/16 x 6&8/16 in (8.26 x 16.51 cm). Cincinnati: Doolittle & Munson. Charles Cist, 1792-1868. 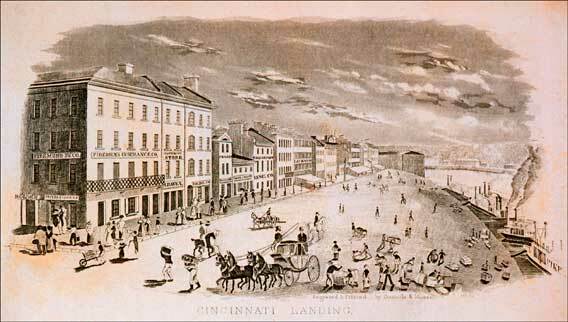 Cincinnati in 1841. Cincinnati: Printed and published for the author, 1841. Frontispiece. Rare Books and Special Collections Department.